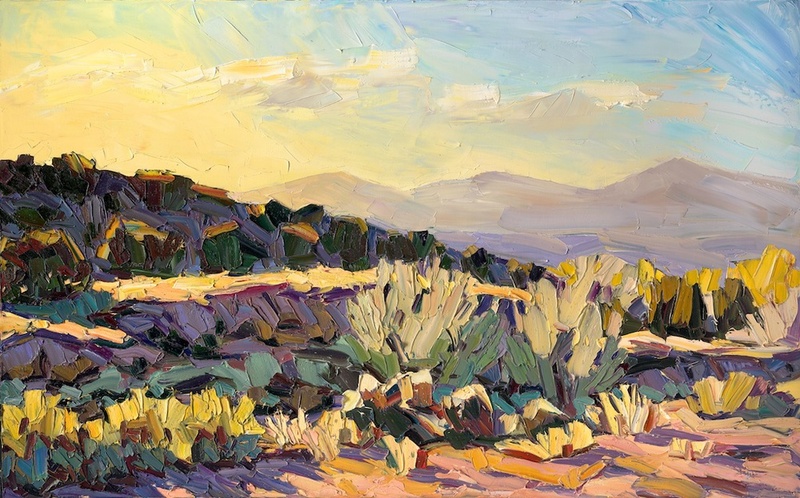 The northward slope and the sunset light, 39" x 63". My first major exhibit of 2015 opens Friday at William Havu Gallery! It'll be the biggest exhibition of my work to-date in Denver. I'll be exhibiting in the main gallery beside renowned painter and fellow paint-lover, James Pringle Cook. Upstairs in the mezzanine area will be David Warner. See the entire May 2015 newsletter – with more images and a couple exhibition announcements – here. You can also sign up to receive Jivan's newsletters directly in your inbox here. You'll get one every month or two and can easily unsubscribe. February 2015 Southwest Art cover artist and feature article! 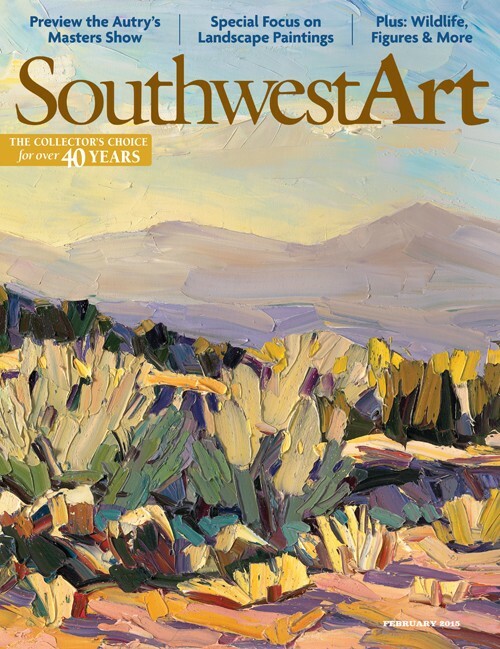 I'm very excited to announce that I have been chosen as the cover artist for Southwest Art's 2015 landscape issue, and that you can find a feature article on my work in the issue! Look for the magazine nationally in bookstores and newsstands. The article, "Serenading the Land," is on pages 72 - 75 of the February 2015 issue. 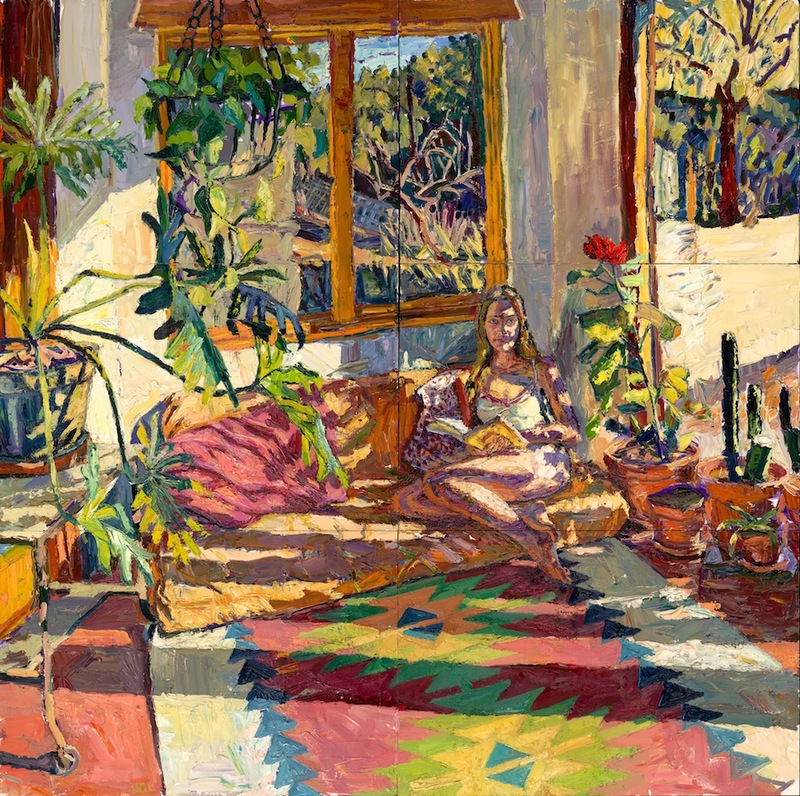 Below you can see the cover and the larger painting, A late fall evening, 36" x 58". I'm happy to say that my painting, "Bella Lucia," won another award – it was selected as a finalist in the Ray Mar Art Competition. I'm now eligible for the big prize in early 2014. This piece and a few of my other figure pieces have really done well for me lately. My other bigger figure piece, Contemplating the Nei Jing, a 72" x 72" multi-panel work, has been invited to exhibit at the Blumenschein Museum starting 9/20/2013. With the positive feedback these pieces have been getting, I've got more incentive to start in on a figure series this fall. Exciting! A wonderful honor! The Masterworks of New Mexico exhibition is a real treat. It's one of the largest shows in the state brings together a lot of very strong work. What a great surprise to win! Bella Lucia, 40" x 40" (below), was the winner. ArtSlant 2013 Showcase - winning painting: "The storm arrives"
My painting, "The storm arrives," was selected as a winner in ArtSlant's 1st 2013 Showcase. 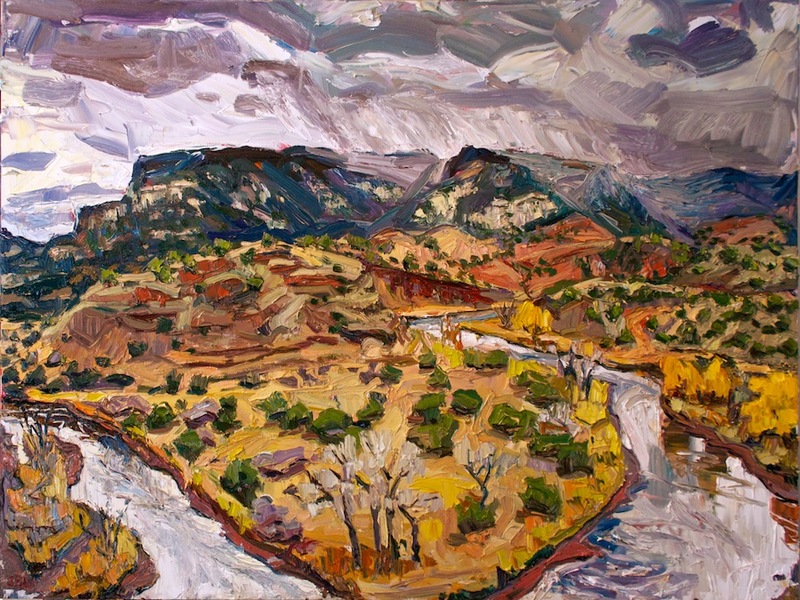 It's a 36" x 48" piece painted onsite along the banks of the Chama River, just a few minutes from Georgia O'keeffe's home in Abiquiu, NM. This is one of my most recent pieces, from November 2012, and I'm especially happy it won -- the spot where I painted it is one of my favorite places on Earth, so it feels good for it to be seen! "Bella Lucia" chosen as Art Business News "work of the week"
Art Business News selected my 40" x 40" painting, Bella Lucia, as the Magazine's "work of the week." They published the painting and wrote up a nice article that you can read by following this link. 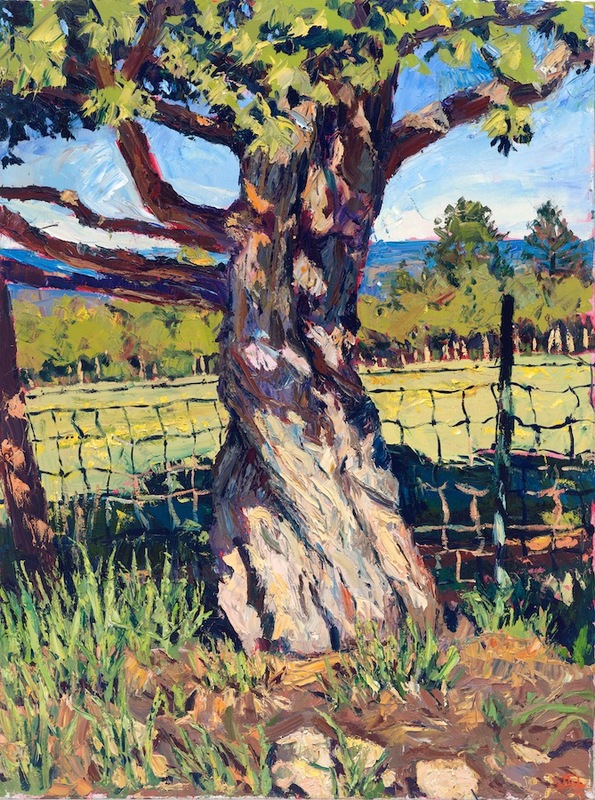 ArtSlant's panel selected my 36" x 48" painting, "Standing Tree", as a winner in the third round of ArtSlant's 2012 showcase.